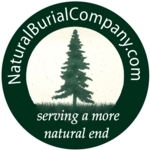 the Natural Burial Company - USA: Where can you go for a Natural Burial? Click the map image on the right to check out the Natural End providers network pages for a map to cemeteries and funeral directors offering vault-free and/or natural burial and other funeral service options. You can also visit our "How to Buy" link for more info. Many folks wonder where they can get a natural burial. There are hundreds, if not thousands, of cemeteries in North America that currently offer vault-free burial options. We don't know who they are yet, because they're just learning about the natural burial movement, and they're slowly raising their hands and saying "We do that, too!" Many of them, like the historic pioneer Fern Prarie Cemetery in Camas, Washington or one of the cemeteries we now own (Oak Hill Cemetery in Eugene; Rest Lawn Memorial Park in Junction City), have offered vault-free burial or tended their grounds in a natural fashion for decades, or even centuries. Others offer a full return to the earth for Muslims and other religions that maintain their traditions to this day - ask around; you might be surprised. Cities around the country are changing how they manage landscapes, lowering their pesticide use and enhancing greenspace. Cemeteries are naturals! If you want to work on finding a cemetery near where you live that will offer a natural burial before you actually need one, the (way in need of an update) "condensation" of Be a Tree has a few suggestions about how to get something started in your neighborhood. Don't hesitate to call a funeral director or two and see what they know about the cemeteries nearby. In the UK, over 250 woodland burial sites around the country now offer people a wide selection of opportunities for a more natural end, where you can be buried without embalming, in a biodegradable casket, or even "turn into a tree" in many of the most popular places - it's catching on here in the US, too. Check out the growing lists of cemeteries and funeral service providers that agree to offer a baseline of more natural options. The Natural End project asks them to sign a pledge to you, pledging to give you what we consider are the "Natural Funeral Basics." Listing them HERE, on the Natural End Map is one way of supporting any funeral home or cemetery that wants to "get natural", wherever they're at in the process of changing toward more sustainable land management methods. 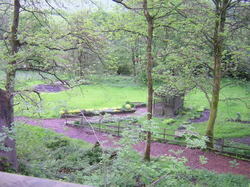 We encourage other suppliers of natural services to support this project.